In Pike Place Market, one of every nine craft stalls was empty. At some hardware stores and groceries, sales set records. Florists got stood up, tow drivers couldn’t keep up and entire swaths of the city went without pizza delivery. All in all, Snowmageddon brought extreme impacts for local businesses, hammering some into the red but lifting a lucky few to unprecedented heights. The storm’s financial effects could linger for weeks or even months — but so, too, could some important insights into the strengths and weaknesses of our consumer infrastructure. Whether a business was a snow winner or a snow loser was driven by a host of factors. Some are obvious: any business built around delivery probably took a hit. Seattle-based Merlino Foods, which supplies a thousand Puget Sound businesses with three dozen trucks, was able to muster less than half its delivery drivers and lost some incoming freight because of the closure of Snoqualmie Pass. “We have freight sitting on the other side of pass trying to get here,” Merlino Vice President Jeff Biesold said Wednesday. At Macrina Bakery, which supplies its own cafes and 900 other Seattle-area retail customers, delivery drivers often braved the bad roads only to find that some customers “were either opening late or weren’t opening at all,” co-owner Scott France said. But if Snowmageddon taketh away, it also giveth. Many grocery stores landed in the “winner” column. QFC stores, most of which are in the Puget Sound region, saw a 50 percent increase in grocery sales and a 30 percent increase in customer traffic Thursday and Friday, compared to those days last year. For the week, the chain saw “more in sales than we typically do during Thanksgiving week,” spokesman Zach Stratton said. Hottest sellers: milk, bread and eggs, followed by items like firewood, batteries — and frozen pizza. QFC took extra steps to keep the groceries moving out the door. The company put up some employees in hotels near their stores in Bellevue, Kirkland, Capitol Hill and University Village. To ensure that stores stayed stocked, QFC also worked with other grocery-industry officials to win temporary relief from a state law restricting the hours supply truck drivers could drive. Many towing companies also did a booming business. Although towing jobs often took longer, and sometimes required multiple trucks, some companies were able to charge substantially higher towing rates. At Seattle Towing, hourly rates went from the normal or “light-duty” charge of $275 to as much as $995 for complicated “recovery” jobs, such as cars stuck on steep, icy slopes, requiring a backup truck and a large crew, managing member Schon Seid said. As a result, daily revenues from direct consumer calls (as opposed to insurance or motor-club calls) jumped to about $8,000, compared with $3,000-$3,500 on a typical day, Seid said, adding that many snow customers were covered by insurance. But the snow-tow premium came with its own costs. Seattle Towing had to pay its drivers an extra $200 a shift. And when one of Seid’s seven trucks got stuck in the snow, a heavy-duty towing company quoted an hourly rate of $2,000 to $2,500 an hour — and a 16-hour ETA. For many businesses, the pain from Snowmageddon was compounded by bad calendar luck. At Seattle-based Fran’s Chocolates, February’s storms hit just as the specialty chocolate maker was ramping up for the Black Friday of candy makers: Valentine’s Day. For some businesses, snow played havoc with raw materials. At Darigold’s milk-processing plants, incoming deliveries of raw milk fell by as much as 80 percent because of wind, snow drifts and low visibility at dairy farms, said Darigold president and CEO Stan Ryan. Mountain weather also added to the pain. “Right now, the situation is that Eastern Washington has excess milk, whereas Western Washington is experiencing severe shortages, since we cannot get trucks through the mountain pass or returned,” Ryan said in an email Wednesday. Outdoor business suffered, too. Some construction shut down. The real estate market was literally cool, with some brokers postponing open houses. “I’m leery of putting it on the market with snow everywhere since you can’t even see the house,” said Windermere’s Julie Hall, who had pushed back two listings in Kirkland. Often, businesses suffered a ripple effect as other businesses declared snow days. On the storm’s worst days, 20 percent to 51 percent of Puget Sound area businesses didn’t open, according to an estimate by Homebase, an online employee-scheduling and time-tracking firm that works with more than a thousand area businesses. Those losses reverberated up the floral supply chain. 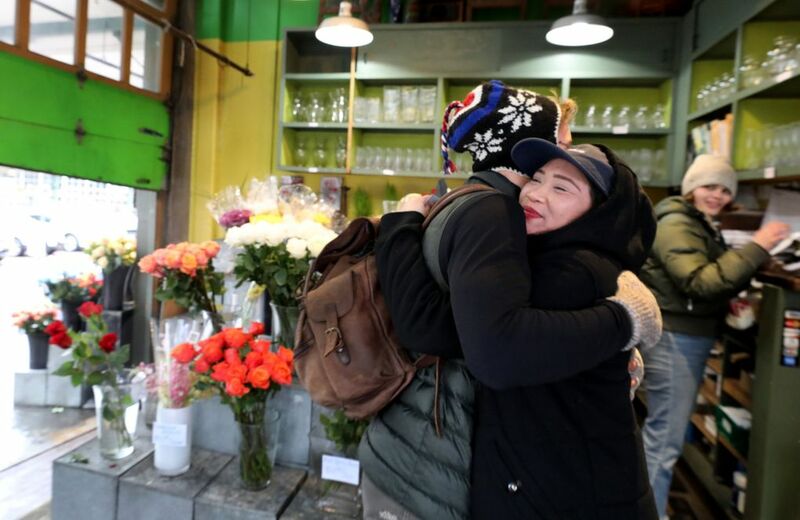 Seattle Wholesale Growers Market (SWGM), which sells flowers to more than 800 regional shops and other customers, was just getting in a massive Valentine’s Day order from out-of-state growers when many Seattle-area flower shops began canceling or reducing their orders. “Everyone is nervous that the end consumer is not going to actually get out there and go buy a bouquet for this Valentine’s Day because of the weather,” said Molly Sadowsky, SWGM’s market manager, adding that the grower-owned cooperative had been banking on a 13 percent increase in sales over 2018. Instead, sales for the week were down 14 percent over last year, she said, and the company was sitting on roughly three times as much inventory as they’d normally have — and ultimately may have to throw away as much as a third of what they bought. But last-minute snow panic can also translate into higher sales. On Friday alone, the Five Corners Hardware Store on Queen Anne sold 20 tons of rock salt in about 90 minutes, and total sales that day were triple the store’s previous record. “It’s been great, except for the fact that we’re all exhausted,” owner Brian Shook said. The store also sold some 400 snow shovels, 240 plastic toboggans and 200 inner-tubes. “People were either embracing the snow or wanted to get rid of it,” Shook said. By Thursday morning, the worst of the snow’s effects seem to have passed. 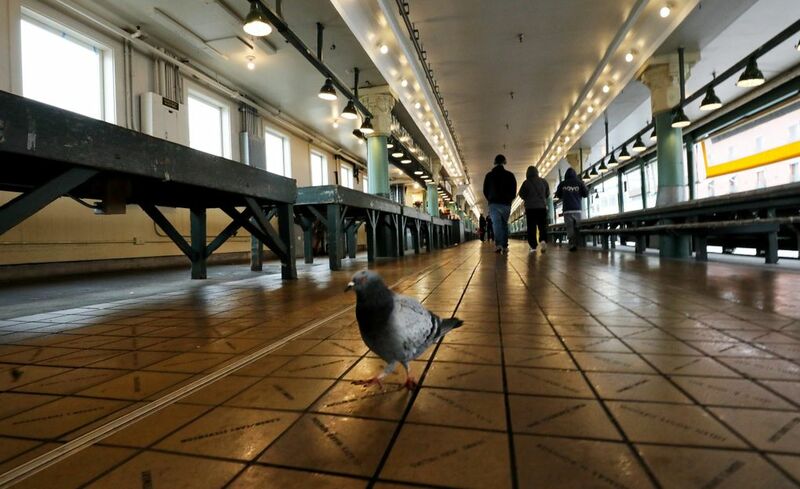 Pike Place Market was filled with visitors, said executive director Mary Bacarella. Company closures were falling toward normal levels — just 8 percent by Wednesday, according to Homebase. Restaurants were seeing an uptick in Valentine’s Day reservations, while at Verde & Co, the once-quiet florist, “we were slammed yesterday and it’s been pretty steady today,” employee Taelor Hill said on Thursday. Seattle Times real estate reporter Mike Rosenberg contributed to this story. Correction: The name of the flower company is Seattle Wholesale Growers Market, not Seattle Wholesale Growers, as reported in an earlier version of this story.